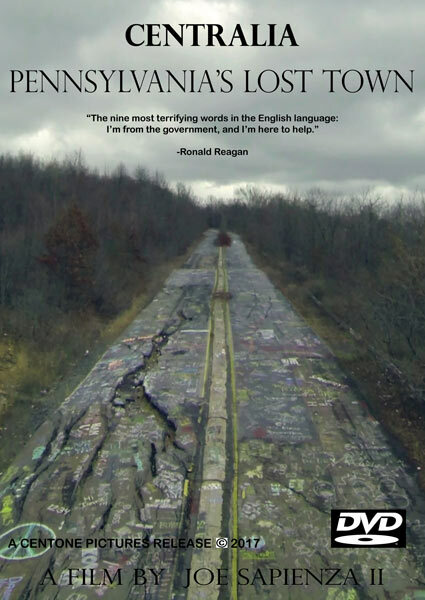 As we’ve previously covered, a new documentary about Centralia, PA and its mine fire disaster is currently in post-production. 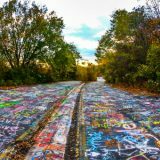 Centralia, Pennsylvania’s Lost Town is set to be released this summer [Update: Film to be released in Spring ’17] and is directed by Joe Sapienza II. 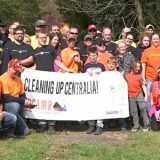 The film will go beyond the history of the mine fire and explore the stories of the people who once lived in Centralia and the neighboring town of Byrnesville. 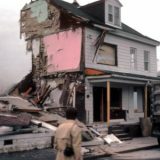 The film will also include restored archival footage and photographs of the area. 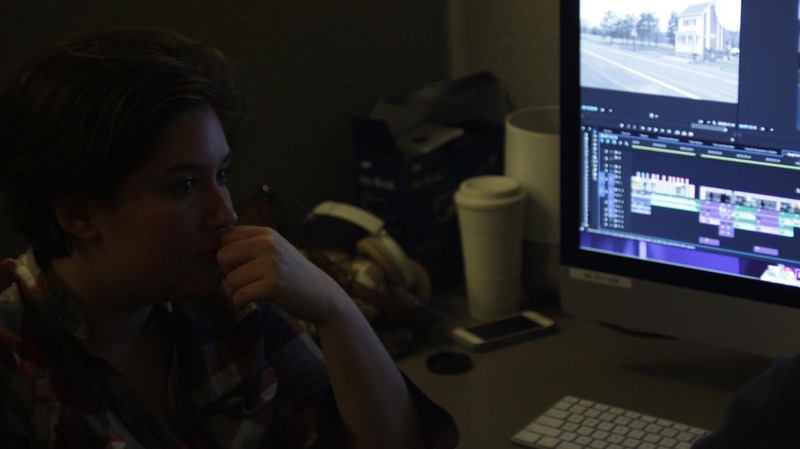 My editors (Rachel Tinkelman & Ariel Benton) are in the lab working on the project in Premiere. One of my editors took some photos of us looking over the project in the lab and some screenshots of the slate cuts. 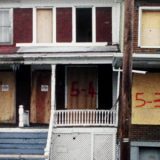 So far they have broken down several sequences of footage, each approximately an hour long on different stories about Centralia, which will then be put into one sequence and cut down further into a cohesive story. They have about 6 hours of footage cut down from everything we shot, and we need to squeeze all of that into about an hour to an hour and 15 minutes max! 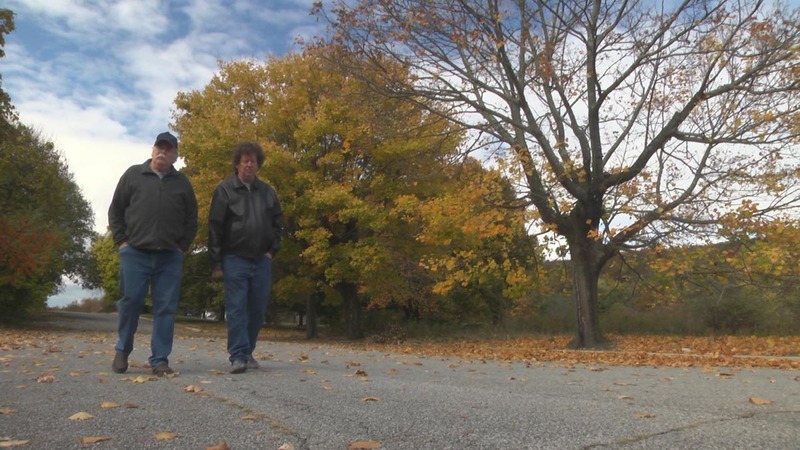 Dave Dekok & Tom Dempsey walk through Centralia. Their interview will inter-cut through the entire documentary. Assistant director Kimberly Schwartz slates for an interview with Tom Dempsey by the former Post Office site. 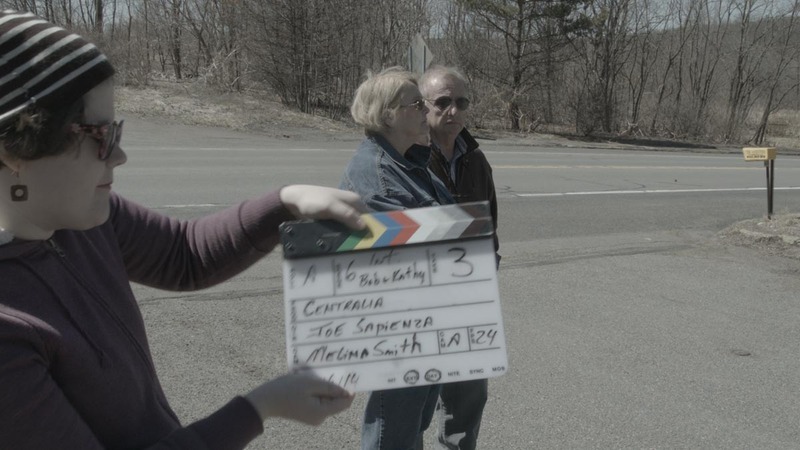 Production assistant Isabelle Dzwonczyk whose family, the Coddington family, and neighbors came up to Centralia for interviews. The couple behind her are Bob & Kathy Gadinski who used to live on the corner of Wood & Locust Streets. Ariel Benton listens to some comments about the film. 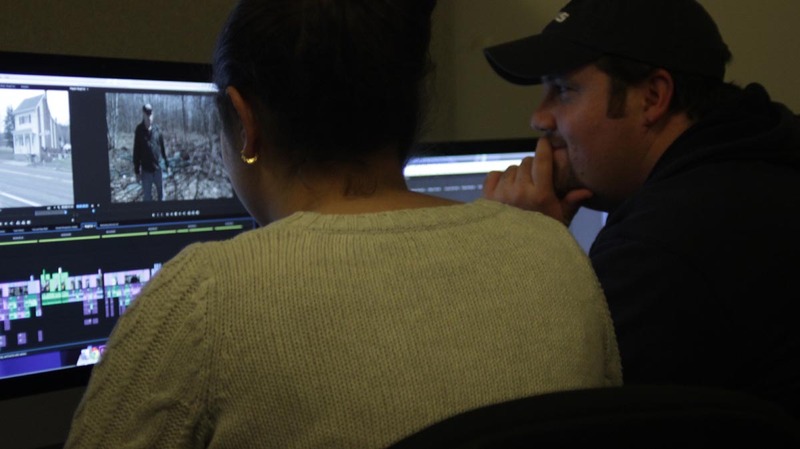 Ariel Benton and Joe Sapienza look over one of the segments of the film. 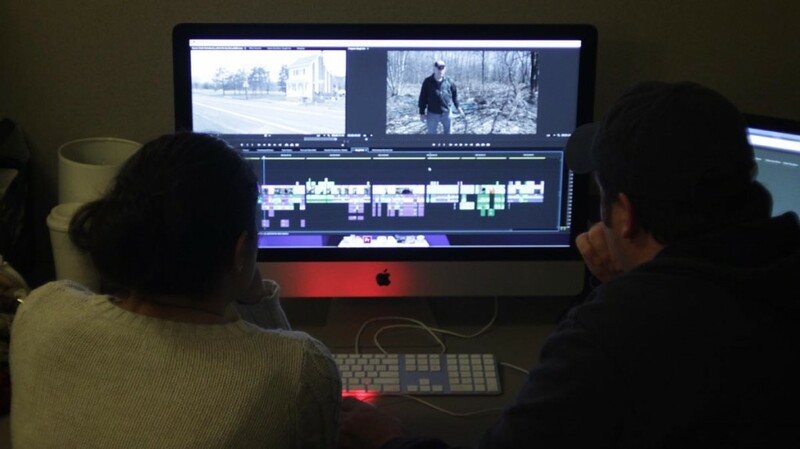 Ariel Benton and Joe Sapienza look over another one of the segments of the film. Dave DeKok snaps a picture of the film crew while being interviewed. Left to right: Ian Jabour, Joe Sapienza, and Melina Smith. 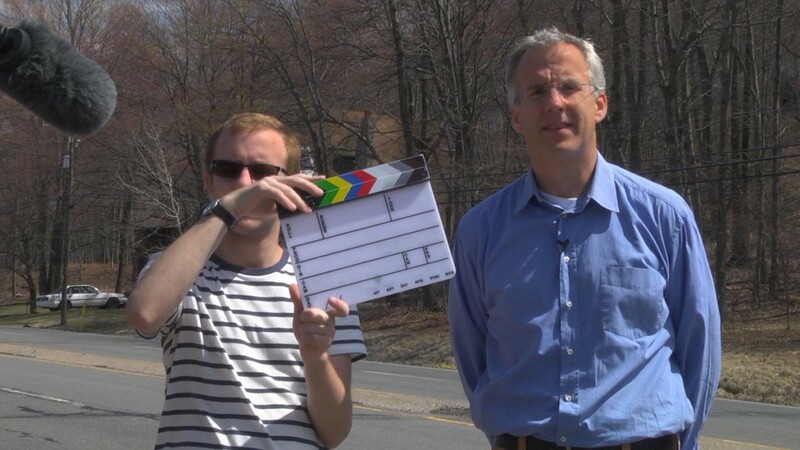 Ed Rzepski claps as a slate to help with audio sync. 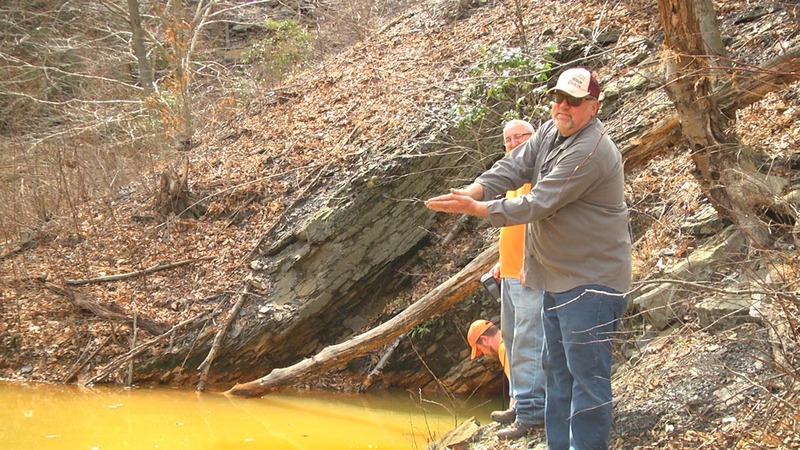 The scene is at the Centralia mine drainage opening with an interview of Robert Hughes from EPCAMR. 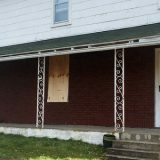 Brian Sullivan slates for Patrick Rooney for an interview on the town of Byrnesville and the Centralia Legion relocation.